Do you want to begin your journey with health and fitness? If so, well done you and we have the perfect plan to ensure that you will love it. Tailored for every woman, regardless of age, size or ability, our Kickstart Plan will work with and for you every step of the way. Over 5000 women have completed our Kickstart and we have seen lives transformed within our gym. 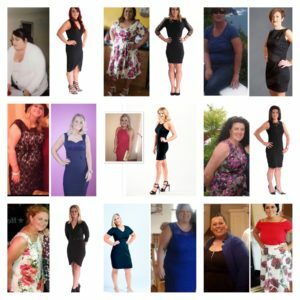 Take a look at our TESTIMONIALS page and see for yourself how beginning with the Kickstart has changed so many of the women of Cork’s lives. Over 6 weeks, you will discover a whole new you through health and fitness. You will learn about correct nutrition, good eating habits, fitness for your level and ability (which will grow in time) and you will be guided and supported every step of the way. We make fitness fun and don’t believe that it should be something that you shudder at the thought of. When walking out those doors, we want every woman to say “I can’t wait for the next one”. There is no judgement in Womens Fitness, only support, friendship and motivation. You are always welcome to come and visit us and check out our facilities and team. We are located beside the Kinsale Road Roundabout – click HERE for precise directions or else give us a call on (021) 496 6904 to find out more.